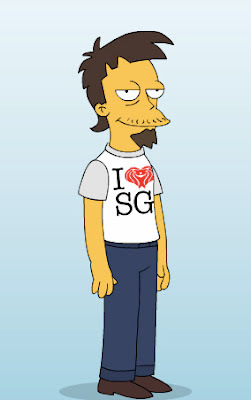 Create your own Simpson's Avatar! 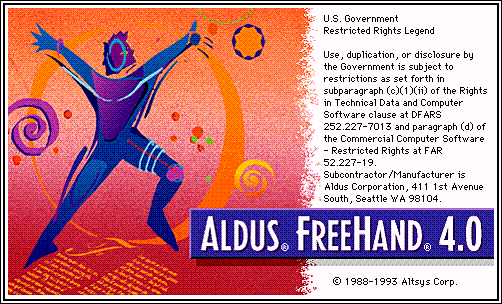 We first met briefly when you were then known as Aldus Freehand 4.0. Back then, there was also Coral Draw and some others that I can't remember. I was just starting out and never got into you very much. The people around me then always encourage me to have a go with Coral - believe me, I never quite enjoyed the experience. I stuck to pen & paper for a while. 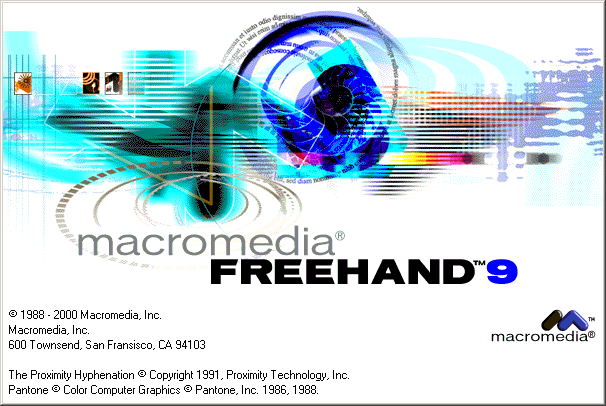 It was in 1996 that we were formally introduced, you have changed your name to Macromedia Freehand 5 or was it 5.5? I can't recall.You were stunning. I have never tried enjoyed working and building a relationship with anything else quite like you. The control you have, the flexibility. I remembered the multiple times I tried to push to to your limits, man those were the days, you came through. Every single time. I mean we have our ups and downs, you don't listen very much, you fall and crash sometime and refuse to accept some types, but we eventually got through, didn't we? All the times when people asked. How did you do that? And my reply was by Freehand. They were shocked. Freehand? By hand? They really don't know you and what you can do. Remember you tried to be transparent? That didn't work for you, but you tried. And the gradients that you attempted. It didn't quite work, did it? And your colours, sometimes, really not great. But you knew what came through right? Unlike the others out there, you offered the multiple pages that I so need. Your alignment was simply perfection; and no one else up to this day made it better. Your tools were the easiest to use. When I finally got my Wacom, I did the first test with you and the strokes were so great. And you cut & paste so well. There were many things I don't need with you, like when you tried to split animations with your layers to fit into Flash. That was silly. One thing I really enjoyed about you, every time you change, it was for the better. I really love you as Freehand 9. You got so in tune with my needs. I was even trying to create your new cool title look with what you have on hand, and I got quite close. Your clipping paths still didn't work as well, but who cares. Some types just don't get along with you, it is fine by me. You have never ceased to surprise me even up till this day. There is always something new you can do that I never realised. I doubt I can ever stop finding out more about you. 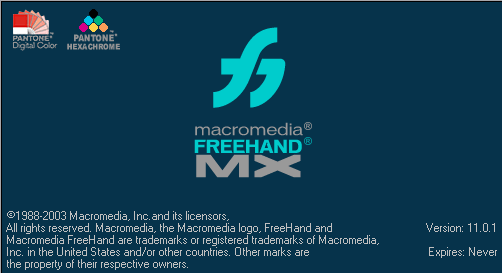 My final upgrade was from Freehand 10 to Freehand MX. I was still wondering what you would be next MX2, MXii or MY? I guess we will never know. When word got out the Adobe may be your new first name, I had my fingers-crossed. Somehow, I was preparing myself. You were too much of a threat to the others. They have tried but somehow always fall short. Here, amongst your biggest fans and loved ones, we always draw the comparison - I am sorry we do that, but it is how it is - "Why can't you just align like Freehand?" 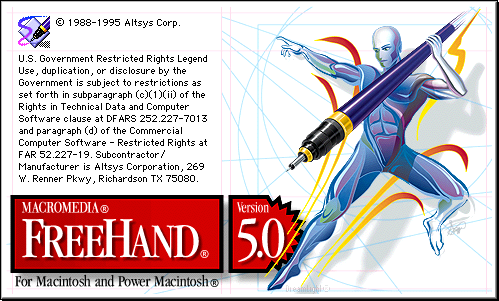 "Why can't I place my files in you and trust you with it like with Freehand?" I am trying to switch from my paths to this new (faint) outline. It is just not the same. You are simply unique. And I will always remember you. PS: Well, the good thing is, now that you wouldn't be changing or upgrading. I will be saving quite a bit. Your functions are near perfect. So I will still hold on and many of us who truly believes in you, will hold on, as long as we can. Took me a while to get this link, until I started reading the Heroes online novels. As a big 'Heroes' fan-geek, always wondered why they only have 'Wireless' in 2 short scenes in the series. I mean, what a hotty! Well, the truth is, there are grand plans for her life - online. 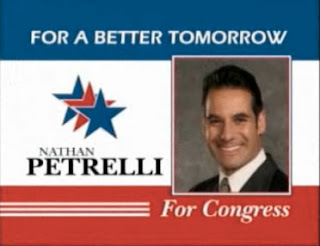 From the above link, you can get access to 'hack' into Primatech Papers, get into Nathan Petrelli's champaign site, the Suresh's Activating Evolution site, and get this Hiro's father's Yamagato Fellowship which gives you some info about Takezo Kensei. And they are voicemails and videos to watch and codes to... well decode. Don't know what I am talking about, please watch Heroes. The end of the first season of 'Heroes'. What a ride! This little tribute to 'Flying Man'! PS: Your vote doesn't really count.